Recognized as one of the main techno pioneers and influential artists of the recent time, Shlomi has the kind of impact usually reserved for inbound meteors, the reason for which is buried in a ground swell of genre-defying appreciation and support. A comment taken from a “Radio 1” interview provides a probable insight as to why his productions are hitting such a broad mark: “No matter if it’s hard or soft, it just needs to touch your mind, body and soul at the same time. That's what I call a ‘Good Record”. This personal approach, married with 15 years of production experience, takes influence from jazz, funk, minimal, acid, and in particular the old school Detroit techno movement. Aber has created some of the most recognizable and unique techno anthems of the modern times for the world’s most prestigious labels on his ever-expanding CV: Cocoon, Desolat, Cadenza, Ovum, R&S, Objectivity, Renaissance and his own "Be As One Imprint" one of the most established and leading labels of the underground dance music scene, a firm favorite with the world's elite, with its broad range of quality underground house and techno. 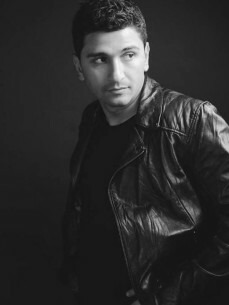 Tracks such as Sea Of Sand, After Love and Tel Aviv Garden have become engraved on Top 10 bestseller lists all over, whilst his release "Sketches " has already been described by every aspects as ‘…a classy piece of Underground fodder’, not to mention his worldwide funky techno anthem on Ovum Recordings, "Freakside," which became his trademark as "the biggest club track of 2007" and one of the most played techno tracks of the recent years. Shlomi's worldwide success granted some prestigious rewards as “best newcomer” in 2006, “producer and track of the year” in 2007 with "Freakside” "Beatport's artists of the year” in 2008, and also received a respected "Worldwide DJ Awards nomination" to close in recent times. These and more placed Shlomi in the first tier of electronic music artists, headlining every prestigious club, festival or venue worldwide.